Carmen De La Paz of HGTV fame has teamed with Scotch to create wonderful do-it-yourself decor that is imaginative and beautiful. Holiday decorating is the perfect time to have fun and be creative with DIY projects. 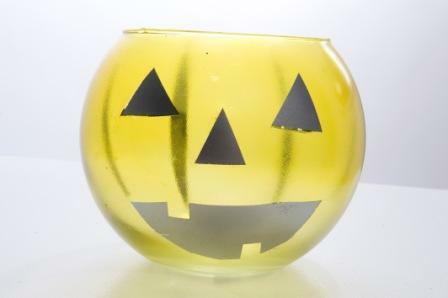 Just in time to get ready for the “Great Pumpkin” to arrive Carmen has created a great, fun and easy Halloween project using Scotch Blue Painter’s Tape, spray paint and a glass bowl. The only tool that Carmen highly recommends is a Respiratory Mask. 1. Start with a glass bowl of your choice. 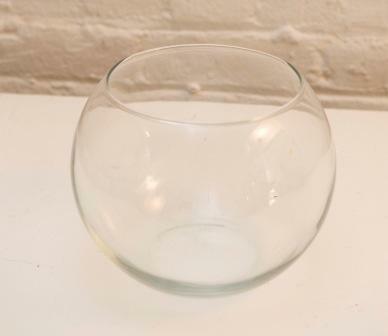 A round bowl is the perfect choice since it resembles a pumpkin. 2. Using 1” ScotchBlue Painter’s Tape for Delicate Surfaces with EdgeLock (2080 EL), start by laying out the face. Carmen started the eyes and then worked her way down to the nose and mouth. 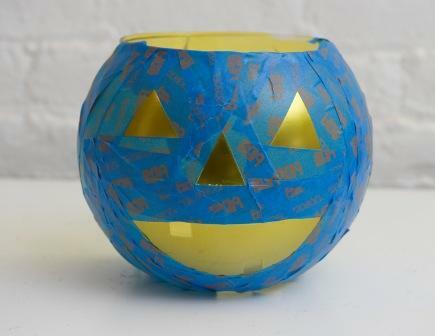 Once the face is laid with the tape, Carmen added some lines all the way around to represent the wedges in the pumpkin – again with ScotchBlue Painter’s Tape for Delicate Surfaces with EdgeLock (2080 EL). 4. 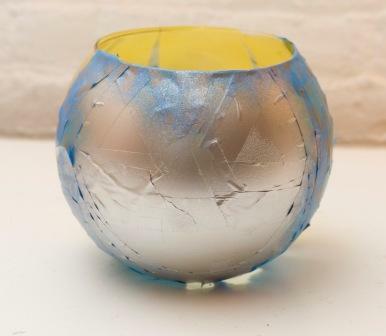 Spray paint with the chrome color for glass surfaces. 5. Once paint has fully dried, gently pull tape back by angling the edge back at 45 degrees to reveal crisp edges and super sharp paint lines and corners. 6. Spray paint the whole outside of the bowl with the orange frost color. Beautiful! you are finished with your beautiful project and ready to put it on display for all to admire. 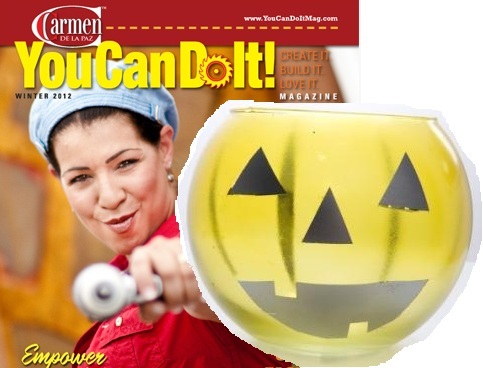 Fill the glass pumpkin with yummy goodies to enjoy Halloween with. Have fun with Carmen. Enjoy decorating for the holidays to come. Be creative and never be afraid to dance!